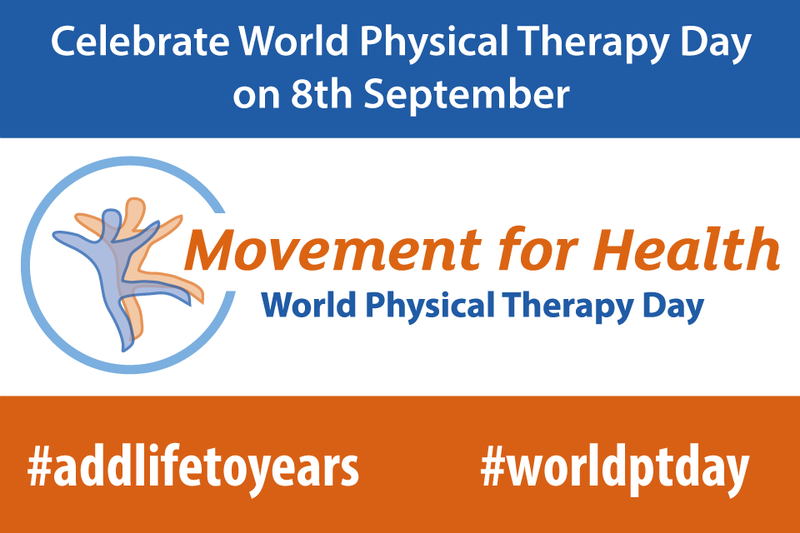 It is World Physical Therapy Day on 8th September – and this year the theme is ‘Adding life to years’. The World Confederation for Physical Therapy has put together a whole toolkit of ideas and activities for physiotherapists to promote the work we do in healthy ageing. This will be a tweetchat with a difference as we span the time zones with 3 hour-long chats at a time to suit you! The chat will use the #worldptday hashtag throughout all time zones – remember to use it in all your chat tweets so that everyone can follow the chat. Not sure what this means for where you live? Don’t worry – take a look at this handy time zone calculator here. Just choose the chat time that suits you best wherever you are in the world and join in! We will be asking the same questions each chat so you won’t miss out whenever or wherever you take part. So – what will we be chatting about? Physical therapists help older people be independent, improving their quality of life and reducing health care costs. Physical therapists address the non-communicable diseases which compromise independence in older age. Structured and tailored exercise programmes are often essential to promote independence in older people. The WHO report has some case studies to demonstrate good practice but we know there must be a lot of physiotherapists out there who are working in or developing innovative evidence based services that aim to promote healthy ageing and independence in older people. So often we hear how difficult it is for people to disseminate their ideas for good practice – now is your chance! What is the evidence based approach that has changed your practice the most – and why? What key guidelines can you recommend to address non-communicable diseases by physical therapists? How has your practice changed to respond to the ageing population? How can we, as physiotherapists, respond to the WHO report? What programs or developments should we be planning to address public health issues in ageing? How can we achieve these within the resources available to us? This might be the first time you have taken part in a tweetchat – welcome! You might find it useful to have a look at these resources below.